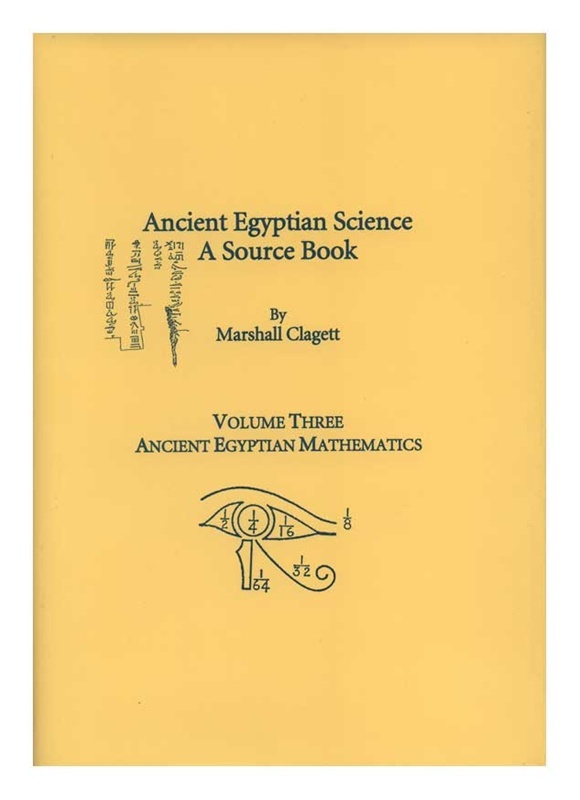 Continues Clagett's studies of the various aspects of the science of Ancient Egypt. Like its predecessors, it has two main objectives: first to summarize & analyze the principal features of a nascent & yet important part of that science, namely its mathematics, & second to present in English six of the most important mathematical documents on which the preceding analysis was based. Thus we find treated in the first part of the work Egyptian measurement that lay behind the various calculating procedures, the procedures themselves, & the model problems that were gathered together to aid the calculators in their efforts to complete practical measures. Includes detailed descriptions of the various kinds of tables that the Egyptians depended upon in their calculations, an important one being the Table of Two that presented the division of 2 by the odd numbers from 3 to 101. This table reveals the nature of Egyptian fractions & their form of notation as the sums of unit fractions, a form leading to the use of a concept very useful for measurement, that of significant fractional approximations achieved by dropping one or more of the lesser fractions at the end of a set of unit fractions. The Table of Two occupies the first section of the most important of all Egyptian mathematical documents, the Rhind Papyrus, the papyrus which stands at the head of the documents in Part II of the volume. Following the series of documents in Part II with their extensive endnotes, the author gives in Part III a bibliography, an Index of Egyptian Terms, & an Index of Proper Names & Subjects. 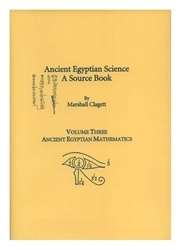 Includes an extensive collection of illustrations along with pertinent diagrams & tables, & reproductions of the hieratic texts of the documents with their hieroglyphic transcriptions.